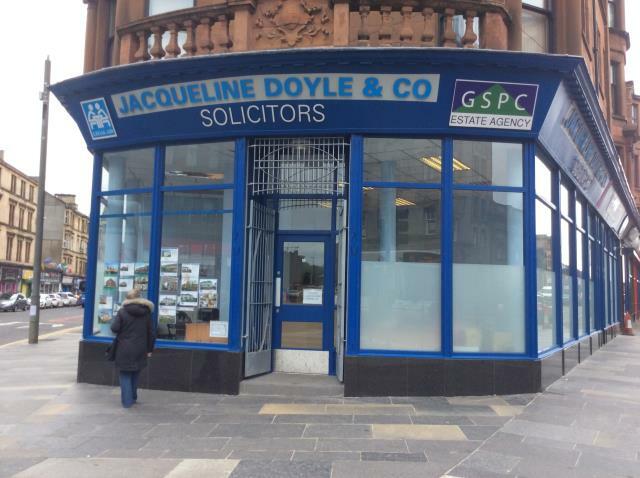 Jacqueline Doyle & Co Solicitors. Parkhead Cross, Glasgow. Serving Glasgow and the surrounding areas for over a decade. Our highly experienced legal and welfare benefits staff can provide advice and representation on a wide range of legal issues and help you navigate the ever increasingly complex welfare benefit system. We also offer Estate Agency and Conveyancing services to help you buy and sell your residential property. Our Welfare Rights Officers, Brian Ryan and Danny McKenzie, have between them over 50 years of experience in helping clients navigate the complex welfare benefit system allowing clients to get the money that they are entitled to. We can assist at all stages from initial benefit advice to help you find out how much you may be entitled to, to assisting you with making benefit applications for benefits such as ESA, DLA, PIP, Carers Allowance or Social Welfare Grants. We can also assist and provide you with representation at appeals Tribunals. Our aim is to help clients who may be at their most vulnerable and let us take the stress of navigating the complex system and let you get on with your life. We understand that having the worry of debts hanging over you can be an emotional and stressful situation. We can assist you by considering any legal challenges to the debt, negotiating with creditors and giving you advice as to how best to manage your personal situation. Moving house can be very stressful! Our professional Conveyancing team, with over 20 years experience, will guide you through the entire process. We pride ourselves on giving you a fully personalised service. We will negotiate the best purchase price for the house you want to buy, guide you through your sale and explain all the legalities to you. Plus all our fees and expenses, will be confirmed to you in writing right at the start, so there will be no hidden costs! We can also help you with buying, selling, remortgaging, transferring title, buying your council/housing association house, discharging your mortgage and other matters. Our Estate Agency Department will help you market your house and take you through all steps in the procedure from an initial valuation of the property, obtaining a Home Report, marketing the property via the GSPC. Properties are actively marketed at our office at 1 Tollcross Road and on the GSPC Website and 'onthemarket.com'. Our experienced Solicitors are able to provide advice, assistance and representation in any criminal proceedings in the Justice of the Peace Court, the District Court, Sheriff Court and High Court. Legal Aid will be available to those who qualify. We are also able to assist in Road Traffic prosecutions. We are able to assist clients either under the legal aid scheme or alternatively on a private fee paying basis. We aim to provide and friendly professional and efficient service in relation to Family Law Matters. We appreciate that the breakdown of any relationship or family dispute can be stressful. We aim to guide you through the process to enable you to resolve your situation letting you get back on with your life. Our services include divorce or dissolution of a civil partnership. We are able to provide advice on the grounds for divorce, the implications it may have on your children and any financial implications. Our experienced Solicitors will be able to negotiate suitable childcare arrangements for your children in as professional and sensitive a manner as possible. If that is not possible we can assist you to take the matter to court. We can assist in drawing up a Separation Agreement which will set out the arrangements following the breakdown of your relationship to include an Agreement reached on issues such as the grounds of divorce, the childcare arrangements, including any maintenance, and any financial issues which require to be resolved such as selling your house or making a claim against your former spouse. Some clients may wish to protect their position prior to entering into a relationship. We can offer you advice on such matters which will be tailored to your individual circumstances. We deal on a daily basis with clients whose children have been referred to the Children’s Hearing system and we provide advice and support and representation at Children’s Panels and at Court in this increasingly complex area of law. We hope to guide and assist you through the complex Hearings system to achieve a satisfactory solution for you and your family. We can assist in making applications for adoption or opposing them. 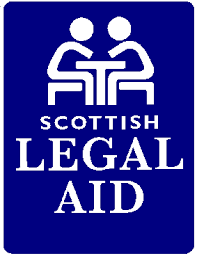 We can in appropriate circumstances conduct these cases under the legal aid system and we will advise you whether or not you may be entitled to assistance with your legal fees via The Scottish Legal Aid Board. Dealing with the death of a loved one can be a stressful and traumatic time. We can help you with all aspects of dealing with a deceased’s estate, whether they left a will or not. This includes applying for Confirmation and winding up the estate. We can still help you even if no Confirmation (in England this is known as Probate) is required. It is important that everyone makes a will. This means your affairs can be dealt with the way you want them to be, when you die. Our solicitors can work with you to make sure that you will is valid and reflects what you want. If you or a loved one are finding it hard to deal with your affairs through illness, injury or old age, you can appoint someone you trust to manage your affairs for you, if and when you cannot cope. You can do this by signing a legal document called a Power of Attorney. This document can only be completed whilst you still have legal capacity, so it is important that you don’t leave it until it too late. Where mental health and dementia issues are becoming more prevalent we can make a Guardianship Application on your behalf. Advice will be provided free of charge under The Scottish Legal Aid system as such applications are non means tested. Very happy with the professional performance of all staff involved. The service provided was perfect and highly professional. Excellent service - Thanks! Thanks! Thanks! People who have the time and expertise to understand. So glad you were recommended to me. Absolutely professional, polite and first class experience. I will not hesitate in using your firm in the future. Knowledge, preparation & delivery were of the highest standard. Qualifying in 1993 Jacqueline Doyle has over 20 years of experience in Family Law including Children’s Hearings. She offers a professional, efficient and approachable Family Law service and will strive to get the right result for you and your family. She also has a wealth of experience in welfare benefit matters and has been appointed as a disability qualified member of the Tribunals Service providing Judgements in relation to welfare benefit cases which proceed to appeal. She supports the Welfare Benefit Department. Legal Aid is usually available but subject to assessment and time limits and therefore immediate contact for Legal Advice is recommended. Sylvia has over 20 years experience in Conveyancing, a large portion of which have been spent practising in the east end of Glasgow. She has also been teaching Conveyancing at Glasgow University for a number of years. Sylvia will guide you through every step of your Conveyancing transaction in an expert and efficient manner with professional attention to detail.  She will keep you updated throughout the whole process and will try to make it as stress free as possible. Sylvia also has a wealth of experience in other matters and can assist you with writing your will; dealing with Executries; and drawing up Powers of Attorney. Claire is our Family Lawyer. She studied at Strathclyde University and trained at Hughes Dowdall. She joined Jacqueline Doyle & Co. in 2013. She has considerable experience in all aspects of Family Law including Divorce; Child Contact Disputes; Separation Agreements; and Division of Matrimonial Assets. She also has experience in Children's Hearings matters, including appearing before the Children's Panel and the Sheriff Court; Guardianship applications; and Powers of Attorney. She is currently on maternity leave and expected to return in Spring 2016. Her position is being ably managed by Karen Mactaggart. Karen is 23 years qualified. She studied at Strathclyde University, trained in Hamilton and worked in Dunfermline before joining Mhairi Mactaggart Family Law practice as a partner. From here she set up her own firm, Karen Mactaggart Solicitors in Wishaw. Currently she is ably managing Claire McQueen's role and practices in all the same areas including Civil and Children's Legal Aid. Sue runs our Estate Agency division. She has over 25 years experience in property sales and previously was with one of the country’s leading Estate Agents where she managed several of their branches over a number of years. For the last 15 years Sue has been working under the GSPC banner and now brings her experience and professionalism to JDHomes enabling us to offer a full Estate Agency service which will be conducted in a professional and friendly manner. Sue specialises in residential sales and will oversee all aspects of the marketing process from the beginning until reaching a successful conclusion. This will include arranging valuations, home reports, schedules with floor plans, advertising and viewings. Sue prides herself in giving a top class service and will use her expertise and negotiating skills to ensure all clients achieve the best possible selling price for their property. Danny McKenzie has over 25 years experience dealing with Welfare Benefits, Money Advice, Representation at Appeals and Appeal to the Upper Tribunal.  He previously worked in a Mental Health Unit for 10 years and the East End Law Centre for 8 years. He can help you with all aspects of benefits including Employment and Support Allowance, Personal Independence Payment, Housing Benefit, Council Tax Benefit, Benefit Appeals and DWP Appeals. Over 23 years experience in Welfare Rights. This involves assessing clients for eligibility for all benefits including Employment and Support Allowance, Personal Independence Payment etc. Can help to assist clients with application forms for benefits as well as processing and lodging appeals. Also have experience of representing clients at benefit appeals and overpayment appeals.